Our aim is to equip children not only with the statutory requirements of the curriculum but to prepare them for their role as active, responsible citizens. Our wide range of additional learning opportunities provide an opportunity for the children to learn from other cultures, respect diversity, co-operate with one another and value each individual. We celebrate success and build on disappointment in order to develop resilient young people of the future. At St Finbar’s, we offer a curriculum which is balanced and broadly based. A curriculum which: promotes the spiritual, moral, cultural, mental and physical development of pupils at the school and of society, and prepares pupils at the school for the opportunities, responsibilities and experiences of later life. The curriculum at St Finbar’s is determined by the Early Years Foundation Stage Curriculum, the National Curriculum, Liverpool City Council Curriculum Guidelines and the school’s individual subject policies. 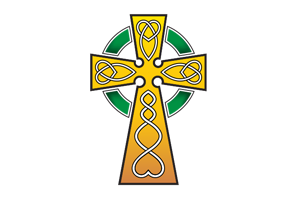 To find out specific details about the curriculum at St Finbar’s, view our curriculum overview document here.